When it comes to back problems there are a lot of things you can do to help your dog prevent and treat back pain without spending a lot of money. When you read this list you will find that a lot of the same things you have to do to prevent back pain in yourself are applicable to your dog as well. 8. Never Overload Your Dog’s Pack. Dogs are no different than you or me when it comes to the strain that carrying around extra weight can have on the bones and muscles. Any dog that is overweight for a lot of their life can develop back issues very early. Smaller dogs can be a big challenge to keep weight off of because it doesn’t take much extra food for them to gain. If you are having trouble helping your dog lose weight then consider switching them to a light dog food. A lot of premium dog food brands have weight loss formulas. You can also try simply reducing the amount. If you are feeding the recommended guidelines and not feeding a lot of snacks then reduce further. Some dog breeds have slower metabolisms than others. Our Great Pyrenees girl, Ruby only gets fed two cups of her dog food per day even though the guidelines advise more than four! She is still heavy even being fed this much. This goes to show just how off those guidelines can be. Even small and bouncy dogs can be effected over the years by a lot of jumping. Providing dogs with stairs and ramps even when they are still in good shape can help support their spines and joints for better long-term health. Buy food with good levels of glucosamine and Omega 3 and 6 Fatty Acids. Glucosamine and healthy fats support fluid movements and help avoid arthritis at all stages of life. Some breeds are more susceptible than others. Pekingese, Dachshunds, Lhapso Apso, and some other breeds have a genetic tendency towards back problems. In fact, 25% of dachshunds at some point in their life suffer from a congenital spine problem. Good prevention is definitely something you want to do if you have a breed that is prone to back issues. Large and giant breeds that get back injuries can suffer a lot and have extended recovery times due to their larger size. A collar can be hard on the neck and back, especially if you have a dog that pulls a lot. A harness is often more comfortable for your dog and makes them a bit easier to maintain control of and with less chance of injury or distress to your pooch. 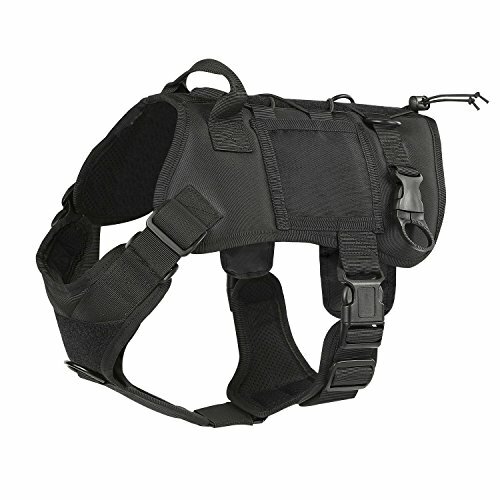 Most dogs can make the switch from collar to harness with no trouble at all but you still might want to get them used to wearing one at home before hitting the dog park with it. As a dog ages, their chances of back issues can increase substantially. 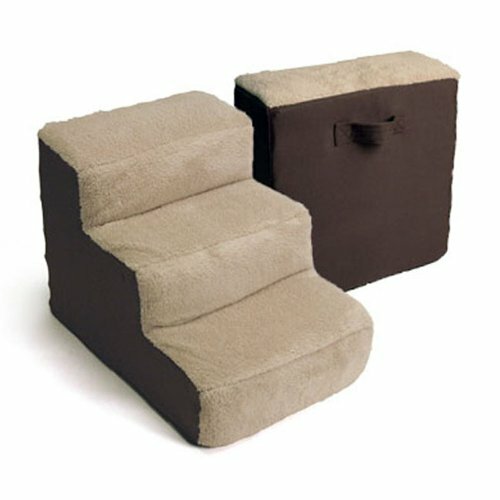 If your dog is getting older and having some trouble then you should get some stairs and ramps to help them out. There are ramps that fold away and small sets of lightweight yet strong stairs that can so your dog can get out and about without so much strain. Ramps and stairs can also take the strain off your own back when traveling with your dog. While you may be able to lift your big dog, that doesn’t mean it is a good idea to do it all the time. It can also be hard on your dog if you lift them the wrong way. 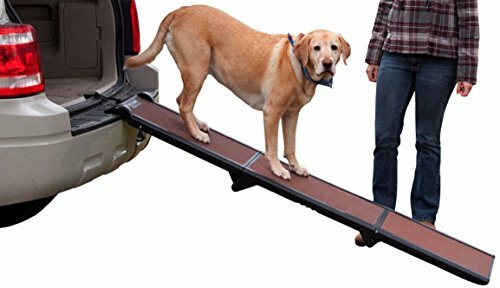 A ramp can avoid a lot of these problems and it encourages hang out time with your dog since it is easier to take them to and from places. Active dogs can develop back problems by pushing their limits too much. Dogs that like to run a lot or hunt can injure themselves if they have the opportunity do whatever they want all the time. Don’t keep your dog restrained or cooped up, but be aware of any problems and encourage them to take it easy or wear some supportive gear when participating in outdoor activities. Dogs that do agility courses may sometimes need a little break from that type of activity even if they really look forward to it. There are plenty of households where the larger dogs know just how gentle they need to be but sometimes they do not. When introducing a new canine member to the family, make sure you keep an eye on the situation as they adapt. Most dogs can be taught quite easily to not play too rough. It only takes one rough incident to cause a lot of injury to small dogs back. Areas like dog parks or just friends getting together with their dogs are all places where your dog may be around dogs they are not used to. While smaller dog owners should know to watch out for their little dog, the parents of big dogs also have an obligation. Unfortunately, even if a smaller dog triggers a behavior or acts aggressive, the larger dog is usually blamed. Just like people, dogs can suffer long-term health effects from carrying too much on their back for too long. Dog packs are great for packing in some food and snacks and maybe a collapsible dog dish but smaller dogs should not even do that. Also, consider that the way your dog’s back is made means the weight is pressing down on a large area of their spine. It is not distributed quite the same way that it is when you or I carry a pack. A rough guideline for how much your dog can safely carry is 25% of their body weight. That means a 20 lb dog should never have more than 5 lbs on their back at a time and that is if they are an adult dog in good physical condition. Your vet can prescribe mild medications that can help reduce back pain from inflammation, arthritis, and other conditions. This can allow your dog to lead a more normal and active life without unnecessary pain. While prevention is important, sometimes dogs have chronic issues that need to be treated more aggressively. Most dogs can tolerate a mild anti inflammatory medication without any major side effects. Dogs run around and play and can get minor injuries that don’t require more than some rest and time. However, you need to get them to the vet if they don’t seem to be on the mend within a few days or if they have other symptoms. Slipped or herniated disks require professional treatment. It is worth the cost of an x-ray and physical exam to know the best course of treatment for your pooch. Dogs that are used to going a lot can get pretty depressed if you have to limit their activity too much. Make sure that they still feel loved and included. Lower impact activities can help out a lot. A walk may be the way to go instead of the jog they are used to. A lot of the time dogs need a variety of measures to get relief from back pain and heal up from injuries. It may take a little time to figure out the best routine to offer them maximum relief.